Pale, bleached Oak chest of drawers. 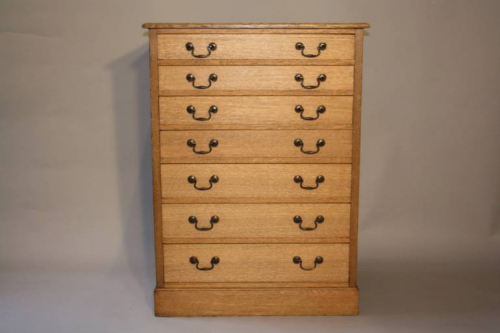 Seven lovely graduated drawers. Overall condition is good with a few aging marks but nothing major. English c1920. A good sized and honest piece.